Sightseeing, golf, business, the exhibition centre, and the WWK Arena - Augsburg has a fantastic variety of leisure time activities and sports to enjoy! 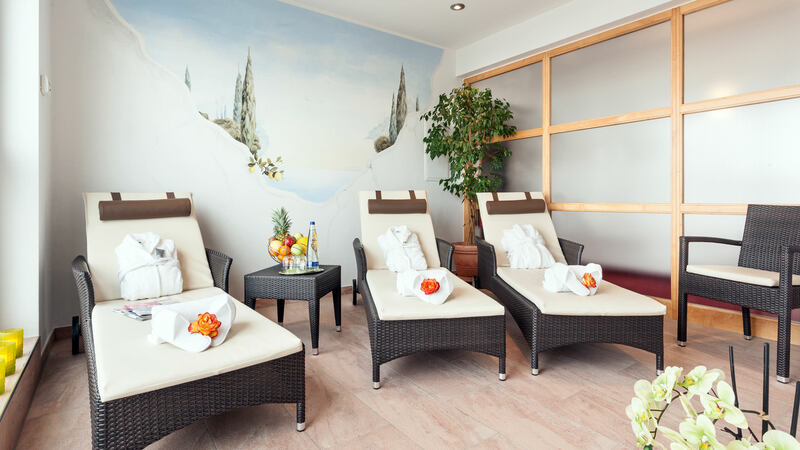 Treat yourself to some quiet time in the sauna and spa area on the fourth floor of our business hotel near Augsburg after an eventful day in the city. 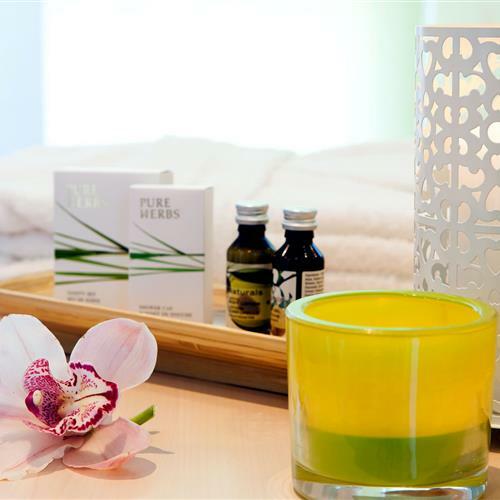 Here you will find a world of peace and relaxation, far away from the stress of hectic everyday life. Take a break, recharge your batteries and enjoy some well-deserved time-out high above the rooftops of Königsbrunn. 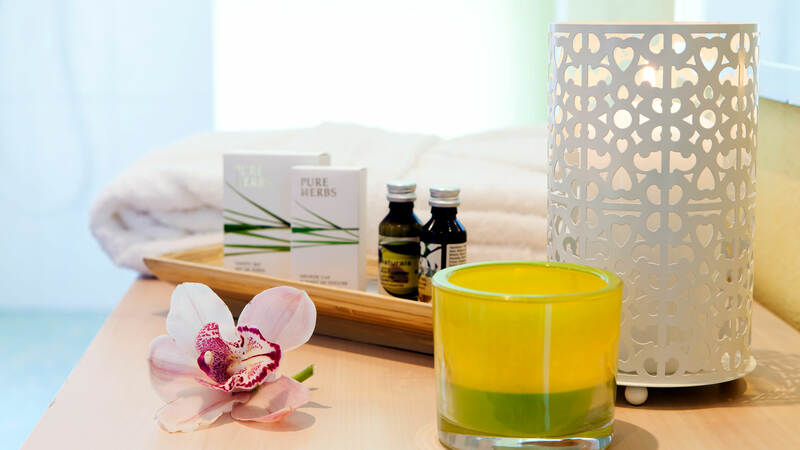 Experience wonderful moments in a spa ambiance of pure comfort in our 40m² sauna area. Tired legs, sore muscles and back pain will quickly be things of the past when you relax in the warm sauna facilities of our 4-star hotel. 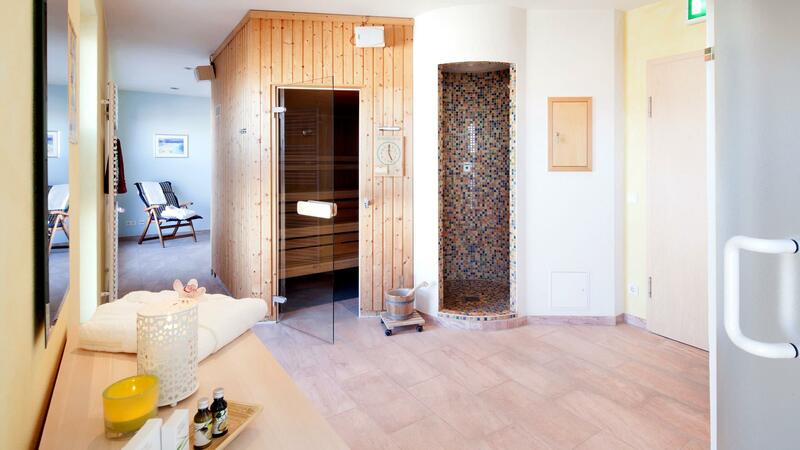 Spend time in our Finnish sauna, take a steam bath, and get a boost of energy in our tropical shower! Lounge chairs with comfortable leather padding in our quiet room invite you to rest and enjoy the sweet feeling of doing nothing. 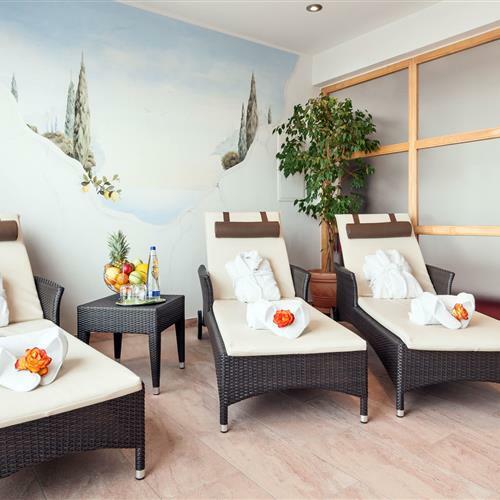 Here you can leisurely read your newspaper or really get into your favourite book before heading back to the sauna. High-quality body care products and cool drinks are available free of charge.